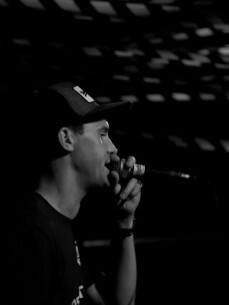 Wrec aka Jon Bailey has earnt himself a reputation as one of the world's most versatile and in-demand MC's. Rocking shows from NYC to Tokyo, Auckland to Istanbul, his work and long-time affiliations with critically acclaimed acts including High Contrast, London Elektricity, The Nextmen, Stanton Warriors and Timo Mass has cemented him as one of the go-to frontmen of dance music. Many have seen him perform on some of the world's biggest stages with performance credits including Glastonbury, Exit, Global Gathering, Pacha Ibiza, Reading Festival and the Cannes Film Festival. He fronted the legendary, multi award winning London Elektricity band and has toured alongside Snoop Dogg, Kanye West, The Streets, Calvin Harris, Cypress Hill, Beastie Boys, A-Trak & James Zabiela. His current residencies include Hospitality, Snowbombing, Sun & Bass and Fabric Live. Over the years Wrec has hosted sets for the likes of Afrika Bambaataa, Skream, Goldie, Paul Oakenfold, A-Trak, Joy Orbison, DJ EZ & Roni Size to name only a few.